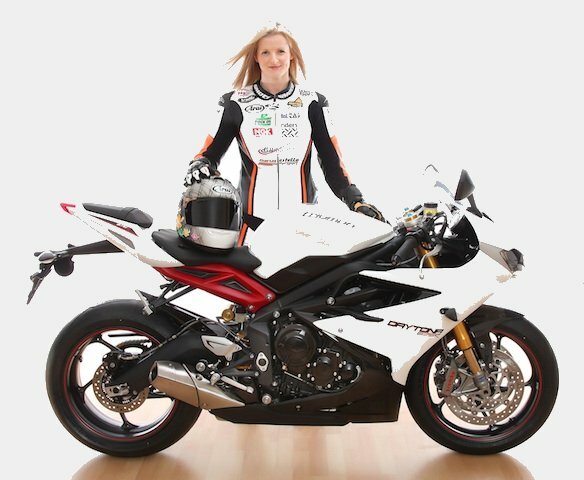 The former Isle of Man female record holder will ride a new Triumph 675R at events including the Isle of Man TT and the Ulster Grand Prix as well as other selected Irish short circuit and real road races. The Triumph 675R has been enjoying rave reviews since its launch and Northampton-based Costello says she cannot wait to get onboard and try it for herself. As well as the 675R, Maria will also compete on the Bob Wylie Racing Honda NSF250 Moto3 bike that she rode to two top-eight places last season; 7th at Walderstown and 8th at the Ulster Grand Prix. Maria’s first road race event of the season will be the Cookstown 100 at the end of April when she will compete on both the Bob Wylie Racing Triumph 675R and Moto3 bike, her own Kawasaki ER6 Supertwin and the Bob Jackson Racing Suzuki T20. Maria would also like to thank Triumph Motorcycles and Pure Triumph in Wellingborough for their help and support. Costello’s first outing for Bob Wylie Racing will be on the Triumph 675R at back-to-back short circuit races at Bishopscourt and Kirkistown over the Easter weekend at the end of March. The Bob Wylie Racing team will be launched on Easter Friday. Maria Costello will also continue to support breast cancer awareness charity CoppaFeel! through 2013. She will be carrying their logo on all of the race bikes she competes on, as well as displaying CoppaFeel! collection tins at all the race events she attends. Image by www.beckphotographic.com Maria Costello MBE and the Bob Wylie Racing Triumph 675R in road trim ready to be prepared for the 2013 race season.